Lion rampant design on the 16 oz tartan background of your choice.Box frame measures 10" x 8" and can be wall mounted or freestanding. 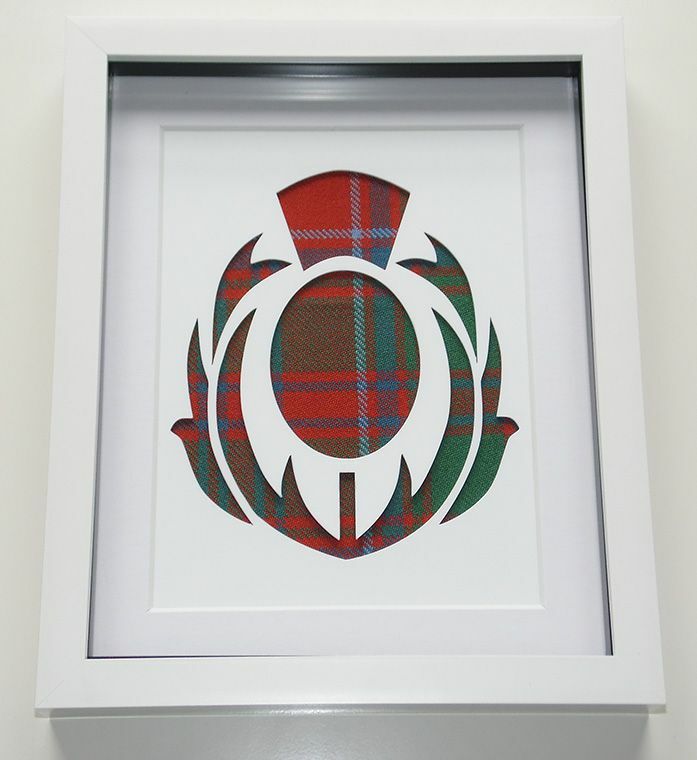 Acrylic cut out of a motorbike available on the 16 oz tartan of your choice.Box frame measures 10" x 8" and can be wall mounted or freestanding. 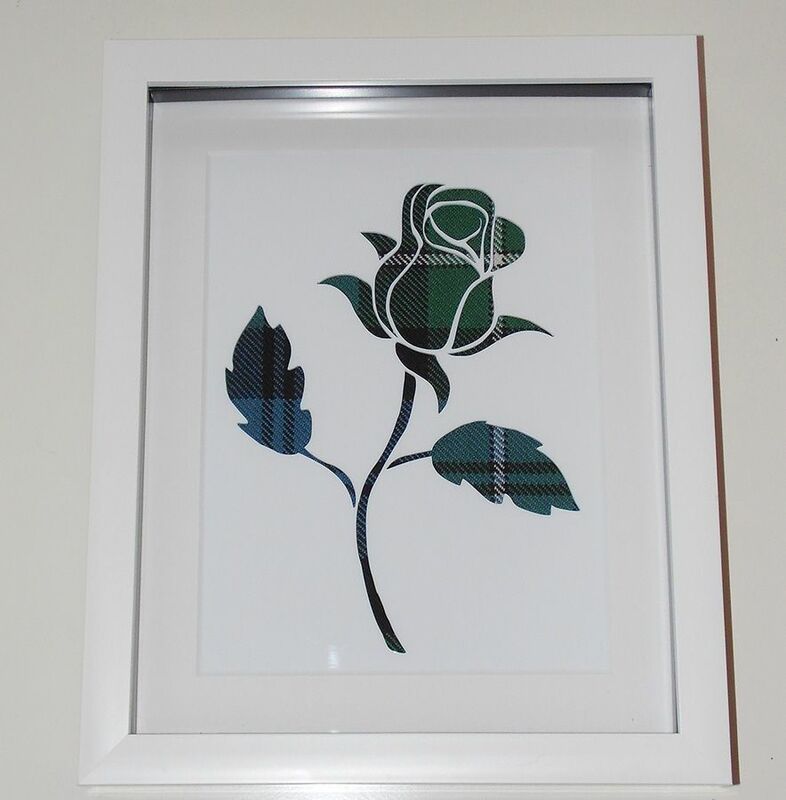 Acrylic cutout of a rose in the 16 oz tartan background of your choice.Box frame measures 10" x 8" and can be wall mounted or freestanding. 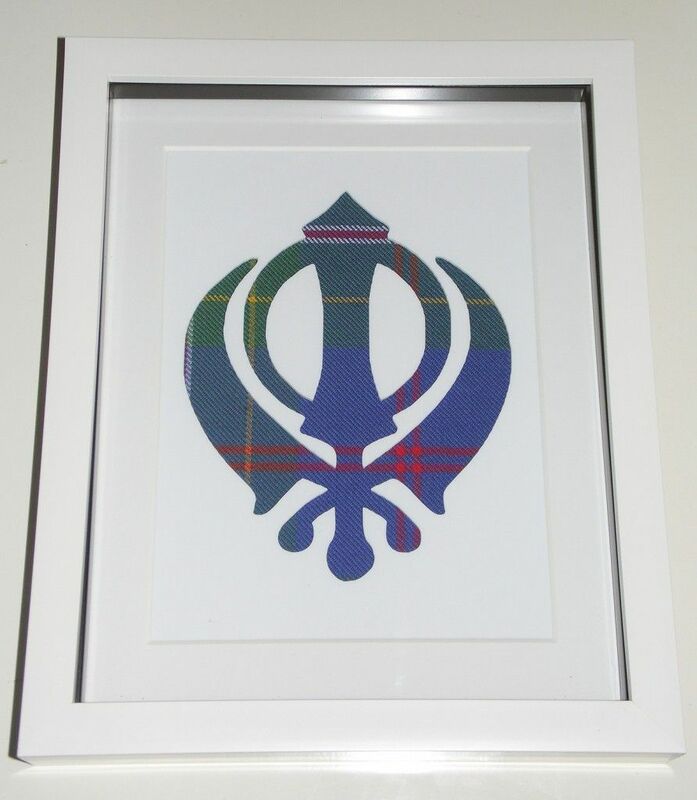 Laser cut on white acrylic we have the Khanda, mounted on the beautiful Singh tartan and complete with a 10" x 8" white box frame which can be wall mounted or freestanding. 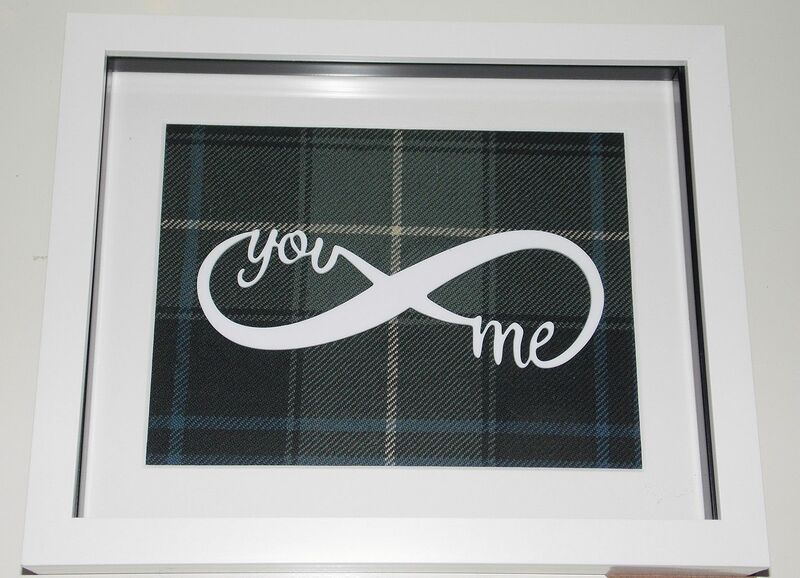 Our latest lasercut acrylic design, You & Me Infinity sign, lasercut from white gloss acrylic and mounted on the tartan of your choice.Box frame measures 10" x 8" and can be free standing or wall mounted.Please allow 7-10 days from ordering for delivery as each tartan is ordered in individually. 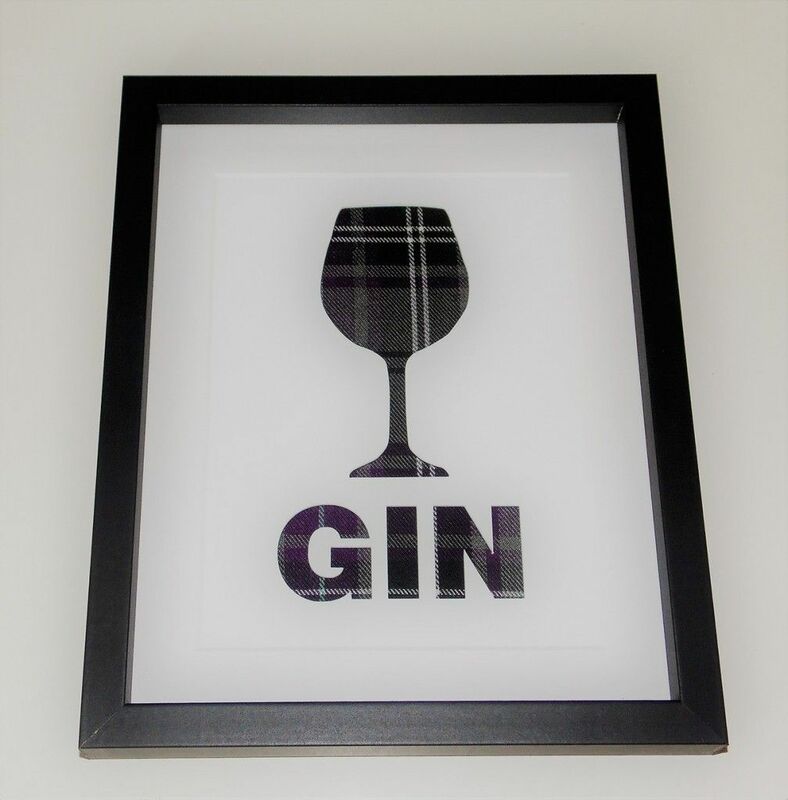 Our latest design, Gin design lasercut on acrylic and framed in a 10 " x 8 " box frame which can be wall mounted or free standing. *Please note frame supplied will be white unless otherwise specified in the customer notes section. 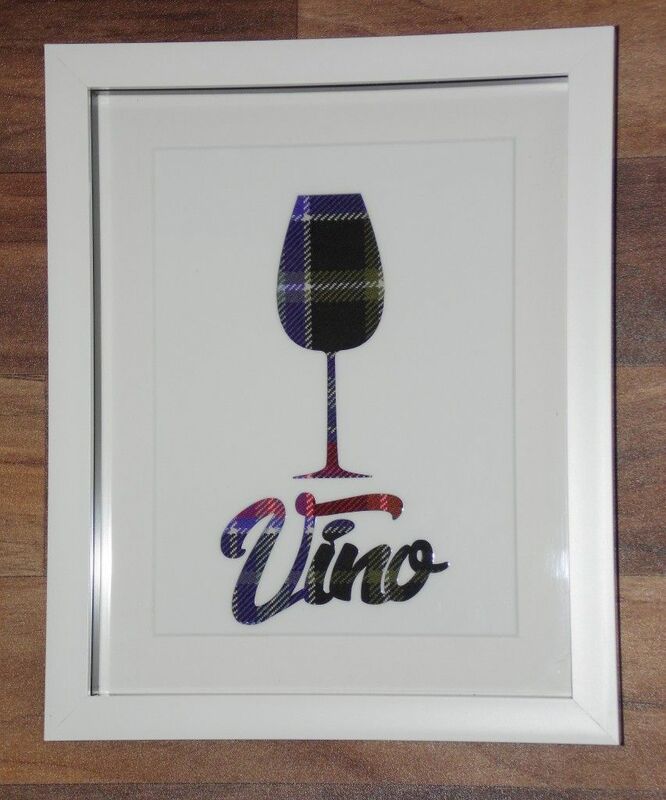 **Please allow up to 14 days from ordering until delivery as each tartan is ordered in individually from the mill.If time is an issue or you need it quicker email us at saltirecustomcreations@gmx.co.uk and we will try our best to help. Our latest design joins our Gin frame in the drinks cabinet section of our frame designs, inspired by Italian influences the design features a laser cut white acrylic Wine glass and the word 'Vino' below.It comes framed in a 10" x 8" white box frame which can be freestanding or wall mounted and as with all our designs comes with a choice of over 400 tartans, price includes mainland shipping. 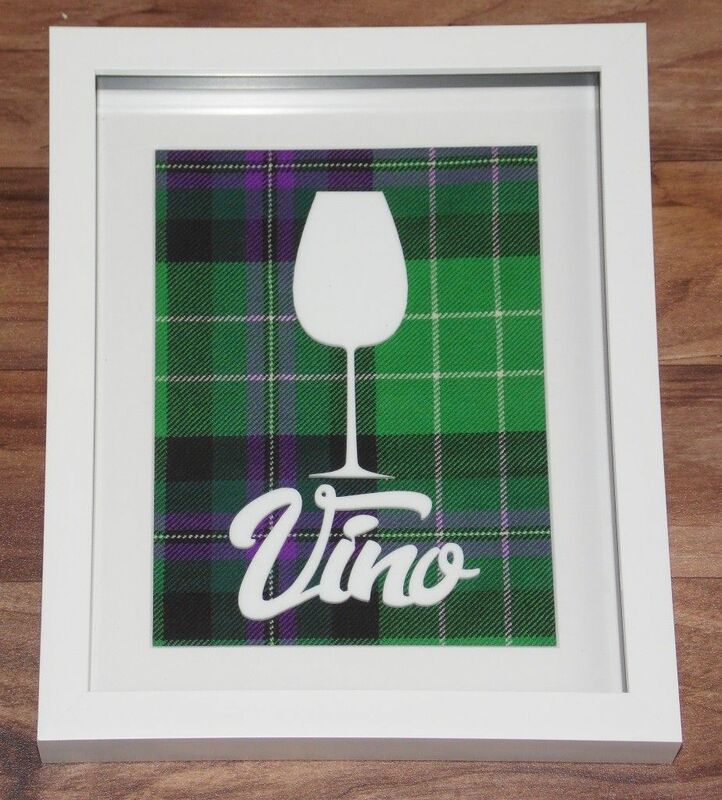 *please allow 14 days from ordering for delivery as each tartan is ordering in on an individual basis. Our latest design joins our Gin frame in the drinks cabinet section of our frame designs, inspired by Italian influences the design features a laser cut acrylic Wine glass and the word 'Vino' below.It comes framed in a 10" x 8" white box frame which can be freestanding or wall mounted and as with all our designs comes with a choice of over 400 tartans, price includes mainland shipping.